It's been a warm, wet and rainy week. Clouds, rain showers, heavy mist and poor visibility has been the soup de jour for the past several days. 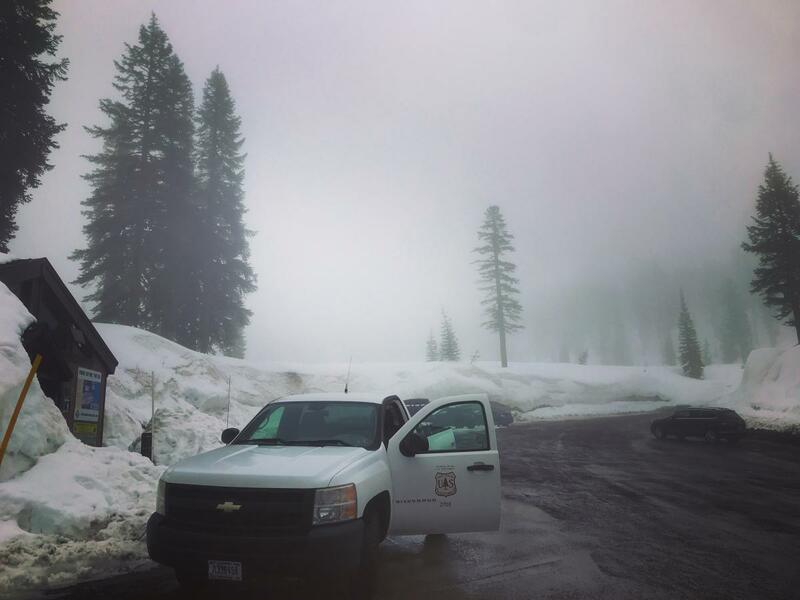 Very few have been getting into the backcountry and the Mt Shasta Ski Park has been closed due to conditions. Snow surfaces have been super wet and soft, with boot penetration up to two feet. We havn't seen any recent avalanches or glaring signs of instability at lower elevations. The rain on snow has squashed most concerns. Near and above treeline, uncertainty remains. Heavy, wet snow is likely pasting onto avalanche prone slopes pretty well, but we cannot confirm this. Loose snow instabilities have been possible, but with the new snow last night, are not a concern at the moment. Temperatures are forecast to warm over the weekend with continued, unsettled wet weather.